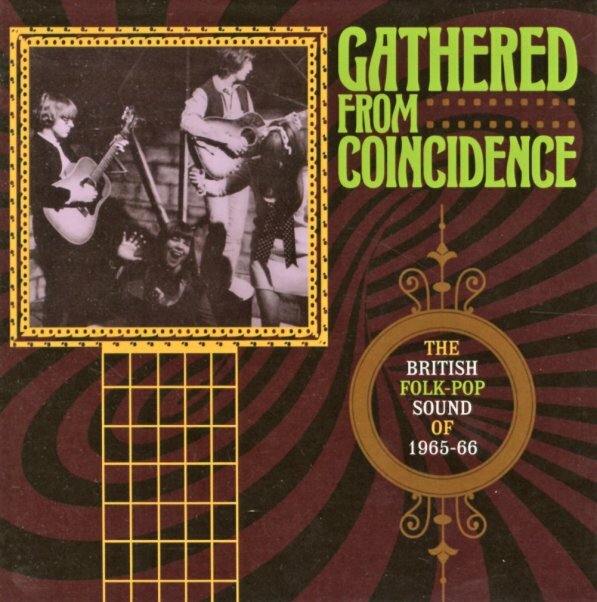 Not the British folk sounds of the generation of Pentangle and Fairport Convention – and instead, music from a few years before – a time when the UK scene was absorbing plenty of folksy styles from the US, but also mixing things with a fair bit of rock and pop as well! In fact, a number of the groups here later hit even bigger fame in more rockish modes – but here, acoustic guitars are mixed heavily with the electric – harmony vocals shine out in many of the male groups – and the song themes are often tied to protest, social change, and more personal pursuits – all handled with a sound that's maybe slightly more gentle than the youthful tension in years to come! At some level, much of this music is in the territory of Simon & Garfunkel – work that certainly comes from a folk perspective, but moves towards catchier territory too – often given a nice degree of English charm in the process. The set features 89 tracks in all, and the usual huge batch of notes this label does so well – with work by Murray Head, First Gear, Peter Nelson, The Silkie, The Other Side, Barbara Ruskin, Gary Benson, Donovan, John Cassidie, Five's Company, The Overlanders, Ramblers Two, Chad & Jeremy, The Greenbeats, Beverley, The Frugal Sound, Meic Stevens, Dana Gillespie, The Zombies, The Seekers, Tommy Yates, Ian Campbell Folk Group, Nicholas Hammond, Peter & Gordon, Marc Bolan, The Factotums, Chosen Few, The Poets, Twinkle, The Kytes, Bill Fay, The Knack, Gulliver's People, Cops N Robbers, The Foresters, Five Steps Beyond, The Times, Beatmen, Caravelles, and Terry Kennedy & John Carter. © 1996-2019, Dusty Groove, Inc.